Since 1968 a small group of people in Ann Arbor, Michigan have addressed a niche in the airborne remote sensing market. Since 2011, DaedalusScanners LLC, which is the latest iteration of this group, has focused on the business segments and technology summarized below. · Service in support of the Daedalus scanner systems that are operating throughout the world. Providing this support requires engineering resources with relevant expertise, material resources in the form of specialized test equipment and/or components, and an organization that can effectively join these resources and communicate with customers. · Modernizing existing scanner systems for customers. o Generally, the optical and scanning subsystems do not become obsolete. However, newer detector technology can improve performance and eliminate liquid nitrogen cooling. o Data system electronics and recording technology has evolved, resulting in smaller, lighter and more rugged subsystems that need less power. o In particular; the ability to measure location and attitude with an integrated GPS/INS subsystem, and subsequently process that information to create north-up orthorectified and GIS compatible imagery, adds utility and value to the scanner data. · Building new scanner systems for new or existing customers. Specific information about new systems that we build and support is contained in the datasheets below. Customized variations on any of these are possible. These systems are exportable to most countries without license (NLR). · AA3503DS 2 or 3 Band.pdf Ultraviolet plus 1 or 2 infrared bands. Coastal patrol, detecting oil on water & fire mapping. · AA3503-16 band.pdf 14 visible/near infrared plus 2 thermal infrared bands. 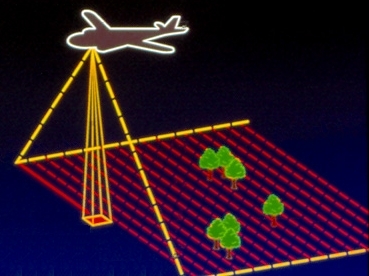 · AA3509DS Lightweight.pdf For UAV or other space limited platforms. · ATM+UV DS 11 Band.pdf Ultraviolet plus visible/near infrared & long wave infrared. · AMS 10 Band DS.pdf 8 visible/near infrared plus 2 thermal infrared bands. · ImageMapper Datasheet.pdf Summary description of the orthorectification utility software.